My Picks are hopefully Better than my Wrestlemania ones! 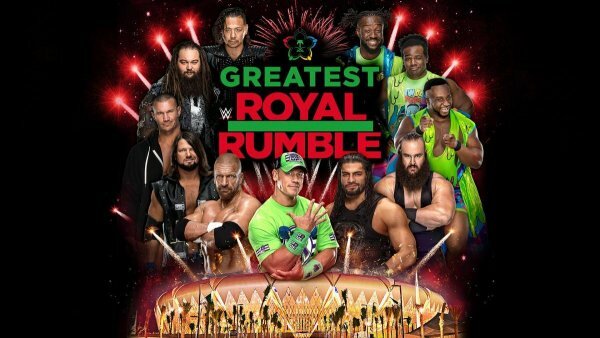 So the WWE has this really odd show coming up this Friday called “The Greatest Royal Rumble” that is being held in Saudi Arabia. It is not one of their usual monthly shows are even one of the BIG shows they do every year. I wondered for a long time if this was WWE trying to break into a new part of the world, or if Those is Saudi Arabia were the ones making this happen. As we get close I am feeling the second may be true. Eh, if you got the money for it like that, why not right? 50-man Greatest Royal Rumble: This is a difficult one since the WWE hasn’t explained what happens with the winner if anything. Knowing the tone of the card, having one of the big names win seems par for the course. There is a strong feeling a few guys will be pulling double duty so Cena probably wins the whole thing for whatever it’s worth. WWE Universal Championship Steel Cage Match: Brock Lesnar vs. Roman Reigns: Eh, we’ve seen it before and the cage isn’t going to help. Same 3 moves from each guy. I could see a title change here just to have it finally happen and that whole thing about Brock signing a new deal being hogwash and he goes back to the UFC. WWE Championship Match: AJ Styles vs. Shinsuke Nakamura: HOPEFULLY they play this one better than the Wrestlemania match. They can do better than that. But with 10 matches on the show, I doubt it. It will still be the half speed disappointment that the Mania match was. 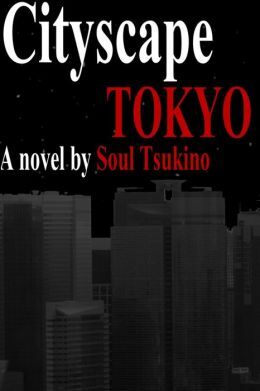 I wonder if the title will change just to have a title change here. My guess is they will but a Nakamura reign won’t be a long one. WWE Intercontinental Championship Ladder Match: Finn Balor vs. Seth Rollins vs. The Miz vs. Samoa Joe: Joe has bigger things on his mind and Miz is on Smackdown now. If the US Belt goes to RAW then the Miz takes it to Smackdown. I’d love it Balor won it, but that doesn’t seem to be the case. WWE Smackdown Tag Team Championship Match: The Bludgeon Brothers vs. The Usos: Eh, it makes sense that the Brothers are champions, but honestly I have no inclination for this match. The Shakeup will change things (hopefully) but the Smackdown tag division doesn’t really do it for me. Bludgeon Brothers retain. WWE Raw Tag Team Championship Match: The Bar vs. Matt Hardy & Bray Wyatt: The titles are vacant and the Bar is going to smackdown so…hmmmmm, who is expected to win? Give it to the Deleters of Worlds or whatever catchphrase they have for them. US Championship Match: Jeff Hardy vs. Jinder Mahal: The going guess is that Mahal wins and takes the US Title to RAW. I don’t expect this one to be a whole lot of anything anyway. Out of sheer “meh” have Mahal win and go to RAW, because I really don’t care about this one. Casket Match: The Undertaker vs. Rusev: Ugh. This one probably isn’t going to be what fans think it will be. Taker isn’t what he used to be and probably shouldn’t even be on the show but I’m sure he was specifically requested for. No matter, he probably wins and this one will be forgotten about. Triple H vs. John Cena: Cena needs to be on this show, hell he was probably specifically asked for. After his Wrestlemania squash, Cena goes over. It gives the Saudi’s what they want and the WWE gets what it wants. Overall: Better than this year’s Wrestlemania and for the Saudi Arabian crowd paying for all this, but it won’t be as historic as the WWE wants us to believe. We shall see what we get. Posted by soultsukino on April 24, 2018 in Contributors, Soul Tsukino and tagged Damn Write!, Greatest Royal Rumble, Soul Tsukino, wrestling, WWE.